Karan Johar shared the first look still of Sonakshi Sinha as Satya Chaudhry in Abhishek Varman's upcoming epic period drama Kalank. The actress, who can be seen in heavy jewellery, a bindi and sindoor, seems despondent in the photo. Karan described her as "pure, elegant and filled with love". Previously the makers had introduced Alia Bhatt as Roop, Varun Dhawan as Zafar, Aditya Roy Kapur as Dev Choudhry and Sanjay Dutt as Balraj Choudhry. 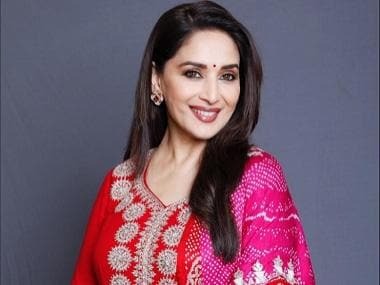 Madhuri Dixit-Nene is also part of the film's cast, which will be set in the 1940s during the unrest and turmoil between India and Pakistan. Johar had on 6 March released a teaser and had in an Instagam post, recollected recollected how the film was actually conceptualised by his father, Yash, 15 years ago. It was the last film he worked on before he passed away. The multi-starrer's filming was recently wrapped up. Kalank will be Alia and Varun's fourth film together after Student of the Year, Badrinath Ki Dulhania, Humpty Sharma Ki Dulhani and the forthcoming Shuddhi. Kalank will release in cinemas on 19 April.